Club Penguin Cheats by Mimo777 Club Penguin Cheats by Mimo777: Club Penguin Hidden Portal? Are you lovin' the Club Penguin April Fools Party? I am! I'm sure by now, you have noticed all the wacky place you go around the island when exiting a room. For example, when you go out the door of the Night Club, you end up at the Iceberg. Have you seen this hidden portal in the Ski Lodge? If you walk to the bottom left corner, you teleport to the Lighthouse! Crazy! About the tree, this is the silliest party of the year. CP even said so. That's why somethings are CRAZY. So if there is something weird, it's because of the party. And about the balloons, it just makes it look cool. Have you noticed how in the beach you can change the sky to something else when you click it? Hey, Anonymous! I bet that's just an April Fool's joke! I remember in previous April Fool's parties that the Forest was upside down, but the trees weren't, so we could see their roots! Mimo! I know exactly why it's doing that! 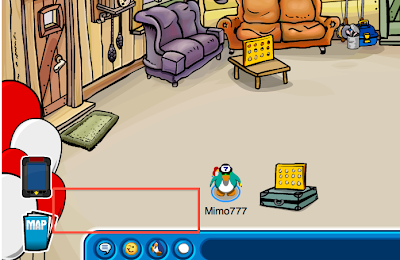 In the 2009 April Fools Party, there were these boxes all over the place that took you to different places! And there was a box leading to the lighthouse right there in 2009! So this must mean they were going to do those boxes again but decided not to at the last second! It hasn't worked for me. Is it different for different severs? go into the gift shop then go out the door and you will be on the ice berg. 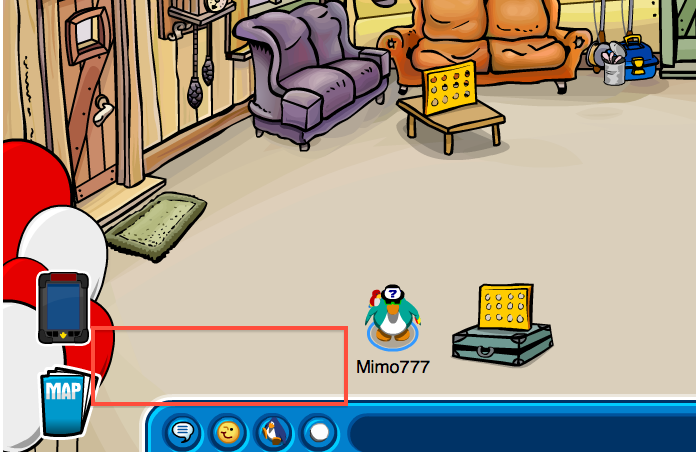 I have a glitch were in the drawing room in the box demension when u click just under the penguin your penguin may continue moving after you walk. I think its cool since you can't dance or anything in the room. Woah! I have video of me doing that LAST YEAR I swear! I love the recycling plant!! it is the spinny arrow room!!!! Oh,yeah! I remember that! It was so really cool. Here are a few cool stuff i found. In the strange dimension there are 2 penguin heads jusk walk inside one of them and say hello from the safe chat menu... the statue penguins mouth will be moving! And there is a box dance. go to the ski village and click one of the mountains it says APRIL FOOLS! at the beach click the sky its so cool it changes from wood to space and other cool stuff! I knew that before you Flopperguy, I just never said anything. But good work anyway. I only found that because it did that last year aswel. Anyway. Good work. HEY guys when you go to the COVE and click the sign the trees start DANCING!!! and in the mine, when you click the carts, a banana appears!!!!! Wow I found somethin kinda cool. If you click on the sky at the beach, it changes from like the foundation for a house to outer space and stuff like that. Check it out. has anyone found rookie yet?